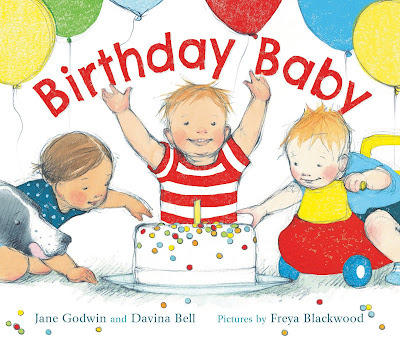 Birthday Baby is a beautifully finished book that takes you on a delightful journey through the day of Baby’s birthday. On the day there is a party with many babies invited and we get to find out a little something about them all. 'Shy Baby, Friendly Baby, Sunny Baby, Lazy Baby', while each baby is a little different, they certainly all like ice cream and they are all a little worn out by the end of the party. Freya Blackwood’s breathtaking illustrations with a bright and beautiful colour palette couple perfectly with the succinct and captivating text. Almost each wonderfully worded sentence contains the word baby and flows effortlessly through the whole book. A lovely book to read aloud to babies and toddlers with lots of identifiable objects and actions to point and look at on each page.